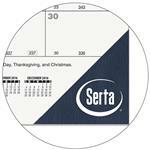 Black calendar desk pad with one color imprint. 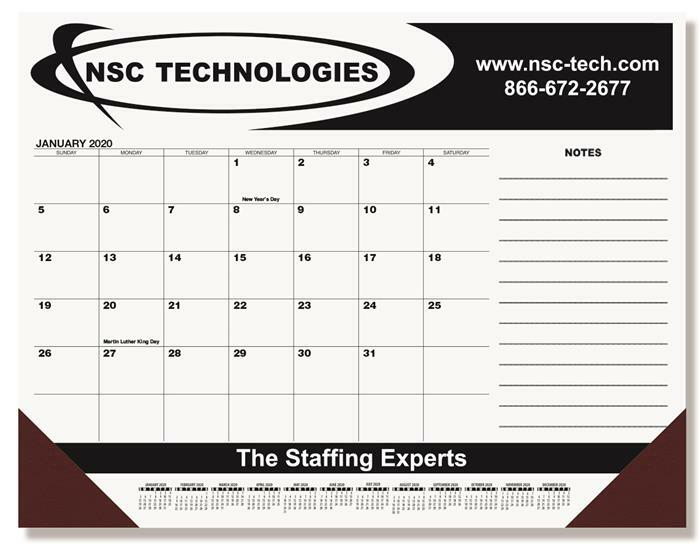 A 13-month calendar desk pad keeps your message working all year long! 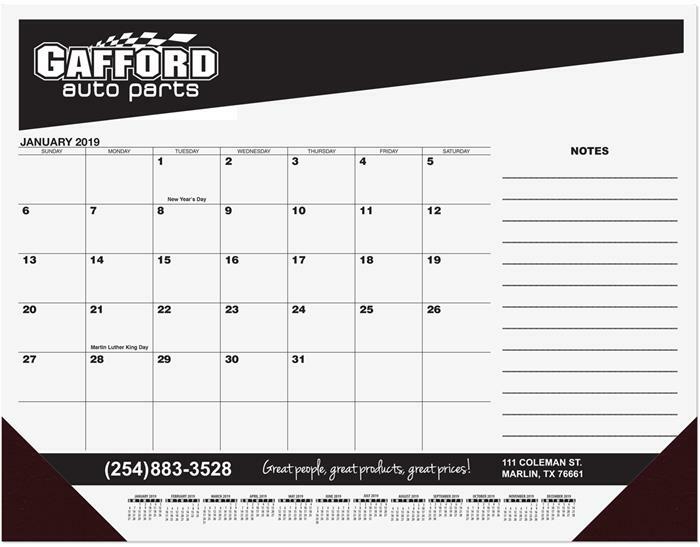 Months, dates, and bottom reference calendar are preprinted in black on 60 lb. white offset paper. Padded at top with 13 sheets to a pad, chipboard back and two corners at bottom of pad. 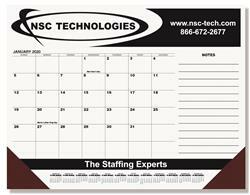 12 month reference calendar standard at bottom of each layout with company logo and information printed in designated imprint areas in ONE standard color. 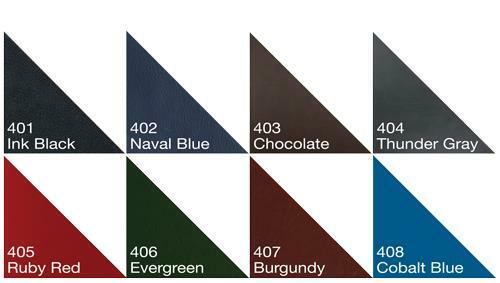 Corner Colors: Ink Black, Naval Blue, Chocolate, Thunder Gray, Ruby Red, Evergreen, Burgundy or Cobalt Blue. Production Time (in working days after final proof approval): Orders placed after August 15 will ship 7-10 working days after final proof approval. Imprint Area: Top 21" x 3 1/2", Bottom 21" x 1", Right Margin 5 7/8" x 10"